Salmon is the fish species which belongs to the Salmonidae family. It is a close relative of char, trout, whitefish and grayling. It is native to North Atlantic and Pacific Ocean. 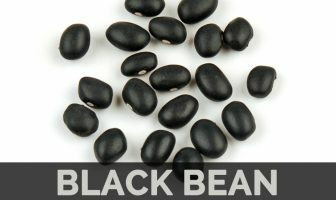 It is widely farmed in various parts of the world. It is born in fresh water and is andromous. They are carnivorous and usually found in the fresh water. It measures upto 20 inches to 5 feet long. The color of the Salmon ranges from white, black, blue, silver to red. The inside flesh is orange or red. It has strong and distinct flavor. They migrate to ocean and again return to reproduce in the fresh water. The salmon species was also introduced to Patagonia in South America and Great Lakes of North America. Some species have anadromous life strategies and others have freshwater resident life strategies. Salmon is regarded as the high source of omega-3 fatty acids, protein and vitamin D. It could be added to the diet in the form of smoking, frying, baking, candied salmon or making soup. Salmon is native to North Atlantic and Pacific Ocean. The word salmon was derived from the Latin word salmo that means to leap. Salmon species was introduced to Patagonia in South America and Great Lakes of North America. Salmon was caught for the centuries on Columbia river at Celilo falls. In Northern Japan, the trained dogs named Ainu used to catch salmon. It is caught near shores and bays. 154 grams of Salmon grants 101.02 grams of moisture, 356 calories, 39.614 grams of protein, 20.61 grams of total fat and 2.71 grams of ash. It also offers 184.17% of Vitamin B12, 131.09% of selenium, 109.15% of isoleucine, 108.76% of lysine, 100.91% of tryptophan, 98.64% of threonine, 96.68% of vitamin B3, 96.59% of valine, 94.64% of histidine, 87.09% of leucine, 81.57% of phosphorus, 79.22% of protein, 58.89% of total fat, 54.69% of Vitamin B6, 44.76% of magnesium, 32.71% of Vitamin A, 26.64% of vitamin B5, 18.23% of vitamin B2, 17.50% of iron, 16.55% of potassium and 13.50% of folate. It is also called King salmon, Spring and Tyee. The weight of chinook measures up to 40 pounds or more than that. The color ranges from red to white. It is usually 56 cm-81 cm (22 inches-32 inches) in size. It has the lifespan of 4-7 years. It has a buttery flavor. It is best if smoked, baked, grilled and poached. Chum is also known as Silver-bright and Keta. It is mostly dried and smoked. It has firm meat and mild taste. In fresh water, they could change their colors. Chum ranges from 56 cm-66 cm (22 inches-26 inches) in size. The lifespan is 3 to 5 years. It has reddish to pink skin. It weighs upto 3.5 kg (8 lbs). Also called Silver or Medium to red, it is the second largest salmon. The weight measures upto 32 kg-5.5 kg (4 lbs-12 lbs). This salmon average between 56 cm-66 cm (22 inches-26 inches) in size. It lives upto 3 years. It has vibrant reddish to orange flesh. Humpback or Humpie are the other names of pink salmon. It is the smallest salmon which measures 2 kg (4 lbs) in weight. They have oval and large spots on back, tail lobes and adipose fin. It is mostly canned or smoked. It measures upto 35 cm-46 cm (14 inches-18 inches) in size. It lives upto two years. It has light rose to pink flesh. Sockeye can grow upto 51 cm-61 cm (20 inches-24 inches) in size. It is usually frozened. The flesh is deep red to orange red and has the lifecycle of five years. It is 2.7 kg (6 lbs) in weight. The salmon is regarded to be the nutritious food that could prevent the chances of cancer and heart attacks. It has high content of omega-3 along with minerals and vitamins. It contains vitamins such as Vitamin A, Vitamin D and Vitamin B and minerals such as zinc, calcium, zinc and iron. Salmon could be found in both salt water and fresh water. Sockeye, Coho, Chinook, Pink, Chum and Atlantic are the species of the salmon. It lowers the chances of Alzheimer’s disease, depression, asthma, high blood pressure, diabetes, multiple sclerosis, macular degeneration and rheumatoid arthritis. Amino acids and proteins are the integral elements of tissues, cells, hormones, enzymes and parts of the body. The protein which is found in salmon is easily digestible. It has carcinogenic compounds with no side effects. It is a great source of cholesterol that helps to make one healthy. It contains the minerals such as selenium, calcium, iron and phosphorus along with Vitamin B, A and D. Selenium is essential for the metabolism of hair, tissues and nails. Salmon contains Vitamin D, omega-3 fatty acids and selenium that helps to maintain the insulin level in the body. It also promotes the sugar absorption and lowers the level of blood sugar. Omega-3 fatty acids help to lower the cholesterol and maintain flexibility in veins and arteries. It also strengthens cardiac muscles. The presence of amino acids helps to repair damage of cardiovascular tissues. It lowers blood pressure, cholesterol and prevents the hardening of walls of arteries. It also lowers the chances of heart attacks. It raises the functions of brain and promotes memory. It contains Vitamin D, A, amino acids and selenium which prevent the damage of nervous system that are associated with aging. It performs as antidepressant, treats Parkinson’s disease, Alzheimer’s and relaxes brain. Amino acids and omega-3 fatty acids prevents the chances of macular degeneration, loss of vision, retinal dryness and fatigue of eyes. It is believed that the daily intake of fish helps to promote the vision health. Salmon is a great source of Omega-3 fatty acids. The adequate intake of omega-3 fats reduces the chances of high blood pressure, fatty plaques in the walls of artery. It lowers the chances of stroke, abnormal heartbeats and heart attack. The intake of fish helps to lower the chances of death and stroke by 50 percent. Salmon assist the cognitive function. Omega-3 fats assist learning in the children. The study shows that the intake of omega-3 fats has high scores in the intelligence test in comparison to the non-eaters. The low presence of docosahexaenoic acid results in the poor memory as well as low reading skills. Salmon contains DHA which is an omega-3 fat. The foods rich in Omega-3 help to stimulate the structural improvement in brain areas that are associated with regulation of emotion and mood. It lowers the grey matter in the people with mood disorders. Salmon is helpful for the people with depression. It also improve the symptoms. The salmon helps to provide relief from the digestion problems such as bloating, gas, upset stomach and indigestion. It lowers inflammation of the digestive tract. It treats the damaged intestines. The anti-inflammatory properties found in Salmon provide relief from the symptoms of Inflammatory Bowel Disease. Salmon stimulates the strength of bones and counteract the osteoporosis. The people with low intake of Omega-3 fats prevent bone fractures as well as bone loss. It also soothe the pain in joints and morning stiffness in patients of rheumatoid arthritis. The flesh of Salmon might contain marine parasites, Anisakis nematodes which could result to anisakiasis. Salmon is not consumed in Japanese people. Black bears depend on Salmon for food. 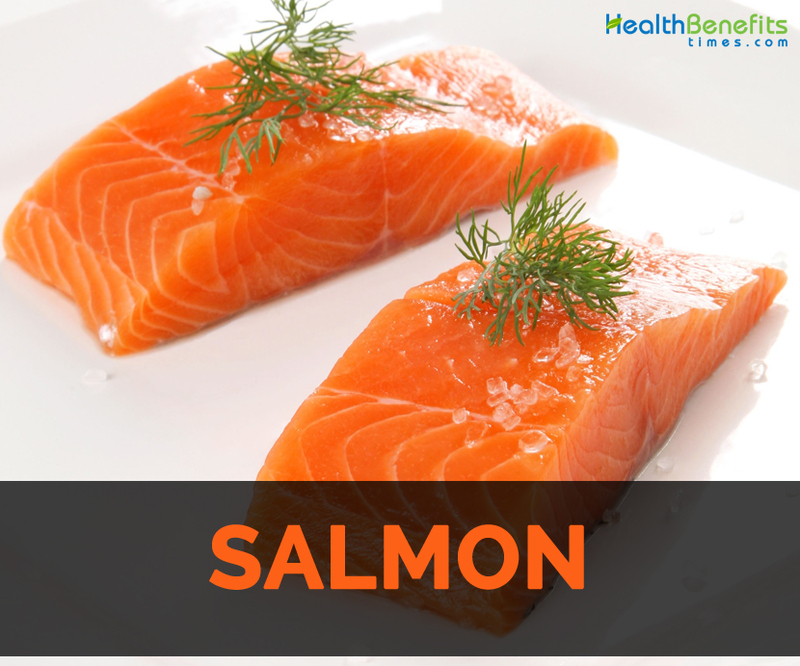 It is rich in protein, omega-3 fatty acids and vitamin D.
Salmons have high content of Vitamin which helps to lower the chances of cancers and coronary diseases. There are one Atlantic species and six Pacific Salmon species. The average eggs of salmon are 2500 or upto 7000. The largest Salmon weighs about 126 lbs. It travels upto 3500 to hatch. During the migration, Salmon does not eat. Some Salmon types have become endangered. Some species have red stripes or black spots. It has short dorsal fin and soft fin rays. Salmon stays in fresh water for 6 months to 3 years. It was believed that Salmon has existed for 50 millions of years. Trout and char are the close relatives of salmon. King Salmon is well known due to its large size and high content of fat. Native Native to North Atlantic and Pacific Ocean. The word salmon was derived from the Latin word salmo that means to leap. Calories in 0.5 fillet (154 g) 356 Kcal. Calories 356 Kcal. Calories from Fat 185.49 Kcal. Calories 237 Kcal. Calories from Fat 66.96 Kcal. Calories 242 Kcal. Calories from Fat 77.67 Kcal.